Lisa Gedgaudas has been recognized for her outstanding leadership in advancing arts and culture in the city for over 10 years. Lisa currently serves as the Administrator for Create Denver, a City initiated program with Denver Arts & Venues that showcases Denver's talented and dynamic creative community, recognizes its role in making Denver vibrant and economically vital and catalyzes the sector to become cohesive and sustainable. Her role includes the enhancement of Denver's quality of life through cultural programming, business development, art and cultural district development, research, policy and advocacy. Her current work on the Denver Music Strategy supports long-term, sustainable strategies that amplify Denver as an innovative, community-driven, global music city. Alex's music industry career began in artist management and venue promotion before moving on to manage marketing campaigns for indie labels and publishers. He was an assistant policy officer for Arts Council England working on arts and health, criminal justice, cultural diversity and disability. Alex's work for Music Venue Trust involves representing the organisation across the UK and internationally, within the music industry as well as other sectors which affect live performance such as licensing and planning. He deals with political, legislative and policy making areas which impact upon grassroots music venues. He loves dream pop, UK Garage and Twin Peaks. A serial entrepreneur, music industry advocate and rock drummer. She is the managing partner at Placement Music and Endeavor Sound, two boutique entertainment firms specializing in custom music, scoring and post-audio for all forms of media. Tammy is a co-founder of Georgia Music Partners (GMP), the non-profit behind the passage of the Georgia Music Investment Act (music tax incentive). She has served on the Recording Academy Atlanta board for the past 14 years, is currently serving her third term as a National Trustee and is Co-Chair of the Recording Academy’s National Membership Committee. CHRIS GAHL, SENIOR VICE PRESIDENT, MARKETING & COMMUNICATIONS, VISIT INDY. Chris has been at Visit Indy since 2005. Prior to Visit Indy, he was part owner of a marketing firm in Honolulu, helping Hawaii tourism. In 2012, Chris helped lead public relations for the Super Bowl Host Committee. He was named a “Forty under 40” business leader by the Indianapolis Business Journal in 2013 and was a member of the 2014 Stanley K. Lacy Leadership Class. 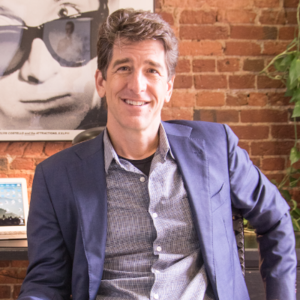 Chris co-chaired the city’s Plan 2020 Love Indy Committee in 2015 and in 2016 helped launch the city’s Film Indy initiative, which helps attract television and film-related production to Indy. Chris holds a degree in communications from Butler University and serves on the Butler University Board of Trustees and on the boards of the St. Vincent Foundation and the Kurt Vonnegut Memorial Library. He and his wife Catherine have two boys, Kanoa and Kai. Thomas Cook is currently serving as Chief of Staff for Mayor Joe Hogsett, overseeing a diverse portfolio of administration initiatives with a focus on economic and community development. Prior to working for the city, Cook served as the One City Indy Transition Director, Deputy Chief of Staff for the City of Lawrence and as an aide in the United States Attorney's Office. Cook received his bachelor’s degree fromIndiana University and a law degree from Indiana University Maurer School of Law. Sean Oreo Jones is an artist currently residing in the city of Indianapolis. With his original focus on hip hop culture, Jones has harnessed his craft as a musician around the country and has recently developed a role as community organizer with an artistic purpose by founding "Chreece",one of the Midwest's largest grass rooted hip hop festivals. In 2015, Sean also accepted the position of sound artist in residence at Listen Hear located in the Garfield Park Neighbourhood. Jones has helped the creative community by curating exhibitions as well as contributions to the new low powered FM station WQRT, broadcasting live out of the sound art gallery. Steve received his J.D. in 2009 from Brooklyn Law and his undergraduate degree from University of Pennsylvania in 2005. He is currently the managing partner of HE^RD Presents, one of the premier independent promoters in the Texas region, operating Empire Control Room & Garage, a 1,300 capacity award-winning music venue in downtown Austin, TX, and The Parish, a 450 capacity award-winning music venue on 6th Street. He is also a co-founder of Prism.FM, a SaaS platform that provides end-to-end business process management for concert promotion and venue operations, and a founding member and Director of the Red River Cultural District Merchants Association a nonprofit group advocating and preserving Austin's walkable live music district. Katie Carlson is Creative Director for the alternative rock band WALK THE MOON, or as the band so affectionately calls her, 'Chief Vibe Officer (CVO)'. 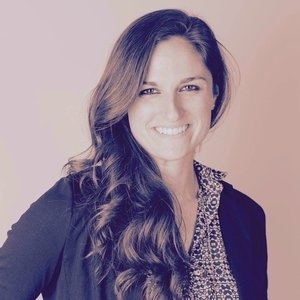 She works with Michael McDonald at Brooklyn-based company, Mick Management, two execute marketing strategies, branding, and all creative decision making for WTM. She has extensive experience with major label album releases, producing music videos, touring, radio promotion, social media management, A&R, and artist relations. A graduate of Butler University, Katie started working with WTM her freshman year of college and helped transform their career from local Cincinnati band to an internationally recognized act. She moved back to Indianapolis in 2017 after four years of cutting her teeth in NYC, to join her fiancé, owner of Black Acre Brewing, in Irvington. A lover of all things mystical, she lives her life by the cycles of the moon and seeks wisdom through tarot, astrology, philosophy and Stevie Nicks. Earning a degree in Music and Marketing from Clarion University, Dan started his career booking and running clubs in Cleveland in the early 90’s. In 1992, he was hired as the Marketing Director for Belkin Production, the legendary Midwest concert promoter. The company was bought by what is now Live Nation, and he and his family relocated to Indianapolis in 2007. Overseeing and booking all of Indiana for Live Nation, he has helped develop the current Indianapolis music scene with expanded programming at Old National Centre (which houses the Murat, the Egyptian and Deluxe), The Palladium in Carmel and the Vogue in Broad Ripple. A strong advocate for artist development, he has forged partnerships with many of the local promoters, and one of the earliest supporters of MOKB presents, IndyMojo, Dahlia Presents, and The HiFi in Fountain Square. He also books Farm Bureau Insurance Lawn at White River State Park and Ruoff Home Mortgage Music Center which are on pace for their busiest season to date, with over 75 shows between the 2 venues. Elizabeth Cawein is a publicist, strategist and music advocate. In 2014, she launched a not-for-profit initiative called Music Export Memphis, which leverages public and private support to function as an export office for Memphis music, creating opportunities for musicians and driving economic development through music and culture. Elizabeth has moderated panels at international music conference SXSW and has presented showcases at Folk Alliance International, SXSW and AmericanaFest. She is dedicated to the belief that smart cities are music cities. She is also the founder of Signal Flow Public Relations, a boutique media firm dedicated to serving the Memphis music industry. 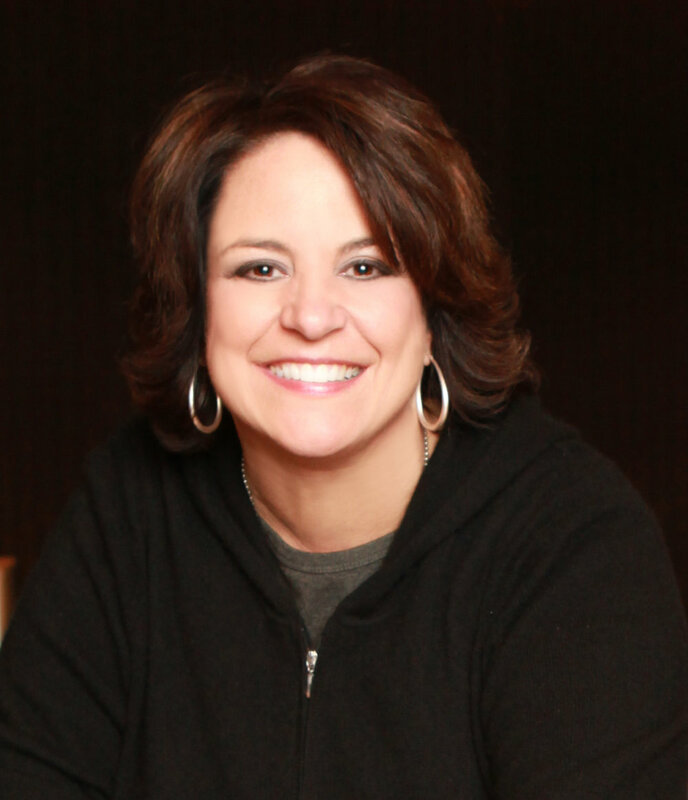 Her clients include the Memphis Music Hall of Fame, The Recording Academy, Royal Studios and more. In 2016 the Greater Memphis Chamber selected Signal Flow PR as one of its ’10 to Watch’ companies in 2017. Jeb Banner is CEO and co-founder of Boardable, a board management software company that serves, primarily, non-profit boards and volunteers. Previously Jeb was CEO of SmallBox, an Indianapolis based brand experience design company founded in 2006. He is also founder of Musical Family Tree, an online archive of Indiana music, as well as a co-founder and chair of the Speak Easy, a tech club located in south Broad Ripple. He is a co-founder or investor in several other Indianapolis based businesses. He is a collector of vinyl records, loves to play and record music and finds great joy in cooking and sharing food. Robert Meitus and his firm represent creative clients including Cage the Elephant, Sufjan Stevens and his Asthmatic Kitty Records, John Prine, The Alan Parsons Project, Third Eye Blind and Cheat Codes. Meitus has also filed many copyright terminations, is regularly involved in IP litigation, has served on the Copyright Office Music Licensing Roundtable on revisions to the current copyright law, and has authored several academic articles on copyright law. Meitus is an adjunct professor of law at the IU Maurer School of Law and received his J.D. from Maurer, his masters of international affairs from Columbia University, and his B.A. from Wabash College. He is a Grammy voting member, a Master of the American Inns of the Court and belongs to the Copyright Society of America. Further reading: Commentary: Revisiting the Derivative Works Exception of the Copyright Act Thirty Years After Mills Music. Linda Broadfoot comes to her role as Director of Indy Parks naturally. A born connector and a lover of all things Indianapolis, she is excited to advance the role of Indy Park's assets in our neighbourhoods and to raise the positive profile of a crucial city agency. A lover of all things green, Linda even started off her career building parks and green-spaces alongside Indy Parks staff in her early years at Keep Indianapolis Beautiful. In her spare time, Linda soaks in arts and cultural events, trains for sprint triathlons, rides her bike all over town, hikes in as many parks as she can, and cheers on the Butler Bulldogs. Linda and her husband, Jeff, are proud residents of the Little Flower neighbourhood on Indy's Near Eastside. Marketing, and Promotions for NUVO Newsweekly immediately after college. Now at the ISO seven years, she also has served on numerous boards and currently is the Board Chair of IndyHub. Myer is also a current member of the Stanley K Lacy Leadership Series Class XLII. She currently lives downtown, loves going to as many concerts as possible, and enjoys running on the Cultural Trail and working out with Indy's free fitness group, November Project. Dr. Joanna Woronkowicz conducts research in cultural policy. Prior to working at Indiana University, she served as the senior research officer at the National Endowment for the Arts. Woronkowicz studies the processes and consequences of investing in capital for major facilities projects. She also conducts research on artist employment and broad issues related to cultural policy. Woronkowicz has published in various outlets. Her 2014 co-authored book, Building Better Arts Facilities: Lessons from a U.S. National Study (Routledge), documents the processes several arts organizations went through building new or renovating existing facilities. Woronkowicz is co-Principal Investigator for the Arts, Entrepreneurship and Innovation Lab at Indiana University as part of the NEA's Research Lab program. In 2017, she was co-recipient of a grant from the NEA to support a study of higher education investments in physical and programmatic arts infrastructure in the U.S.
Karl Hofstetter founded Joyful Noise Recordings as a freshman in college, by making up a fake label name with the solitary goal of creating a false sense of legitimacy for his band's CD. Since this "first release" in 2003 the label has grown a diverse roster including Kishi Bashi, WHY?, Sebadoh, Deerhoof, Surfer Blood, The Low Anthem, Joan Of Arc, Big Business and many others. JNR has been on the forefront of innovative vinyl and physical product curation, including releases like a "12-sided record", vinyl/CD hybrids, and playable etched records. Headquartered in Indianapolis, Indiana, the label now has a staff of 10 like minded people. JNR strives to navigate this volatile industry with heart and purpose by enabling artistically-honest musicians to create adventurous works of art. Sean M. Starowitz’s work is executed in a variety of social, political, and community engaged contexts. Notable projects include Fresh Bread, BREAD! KC and Byproduct: The Laundromat. He has also explored curatorial projects such as The Speakeasy, and The Talk Shop. He has contributed writings to Proximity Magazine and Temporary Art Review, and has lectured at Queens College in NY, UCLA’s World Arts and Cultures Department, and at American University in D.C. He was the artist-in-residence at the Farm To Market Bread Company from 2010-2015. He is a 2010 graduate of the Interdisciplinary Arts program at the Kansas City Art Institute and a 2012 Rocket Grant recipient with support from the Charlotte St. Foundation, Spencer Museum of Art and the Andy Warhol Foundation. More recently, he is a 2014 Charlotte St. Foundation Visual Art Award Fellow. Starowitz currently lives and works in southern Indiana as the Assistant Director of the Arts for the City of Bloomington. Alan Bacon, an Indianapolis native and graduate of Indiana University is the Global Director of Education for iLAB LLC, prior to joining iLAB he served as Campus President for Harrison College. Bacon grew up playing various instruments in local Indianapolis churches, and went on to perform with the nationally acclaimed I.U. Soul Revue at Indiana University, under the direction of Emmy Award Winner Tyron Cooper. Bacon is on the board for the Greater Indianapolis Progress Committee, and also has served on the board for Indianapolis Humane Society, was co-Chair of Advanced 317, on the Mayor’s diversity committee, and was Education co-chair for the Your Life Matters initiative. Bacon is still involved in the music community and is currently a guitarist and vocalist for Chamber Music. Jim Rawlinson serves as the Regulatory & Permitting Ombudsman at the Indy Chamber, working on economic development projects around the City. He helps small businesses interact with City administration and focuses on community development and brownfield redevelopment projects for the Develop Indy team. When Jim isn't on the clock he's also a local musician who has played guitar and sang in a number of local bands for the past two decades (currently with indie rockers Maravich). He serves on the board for Musical Family Tree, a local nonprofit committed to Spreading Indiana Music, as well as a number of other neighbourhood and arts boards around the city. He organized the Indianapolis delegation for the 2017 Music Cities Conference and serves as a convener for arts and policy discussions in the city. Lauren M. Pacheco is an arts and culture practitioner with 15 years of professional experience in arts administration, curation and project management. Her experience is grounded in social practice and public engagement. Lauren has become a resource to policymakers and has helped engage in the public dialogue about issues that impact artists and creative enterprises while working hard to bringing the arts to a broader audience and bridge cultural sector programming. Pacheco is co-founder of the and the Chicago Lowrider Festival. In 2011, she developed and curated the award-winning public art initiative, Art in Public Places along the 16th street viaduct in Chicago’s Pilsen community. In September 2017, Lauren won a public art grant from the Knight Foundation and will transform outdoor vacant space in Gary, Indiana into a walkable, art-park. She has received grant funding from the Knight Foundation, Andy Warhol Foundation for the Visual Arts, Legacy Foundation, Chicago Community Trust and the National Association for Latinos Arts and Cultures. Lauren holds degrees from Northwestern University, School of the Art Institute of Chicago and, the University of Illinois at Chicago. She currently lives in Gary, Indiana. Dave Lindquist has written about Indianapolis music for 20 years. He hosts the "IndyStar Sessions" series and "Dave's Old Interview Tapes" podcast. Making pop culture a guilt-free pleasure. Entertainment reporter for @IndyStar. Curator of @johngreennews. Host of "Dave's Old Interview Tapes" podcast.